Hello friends! 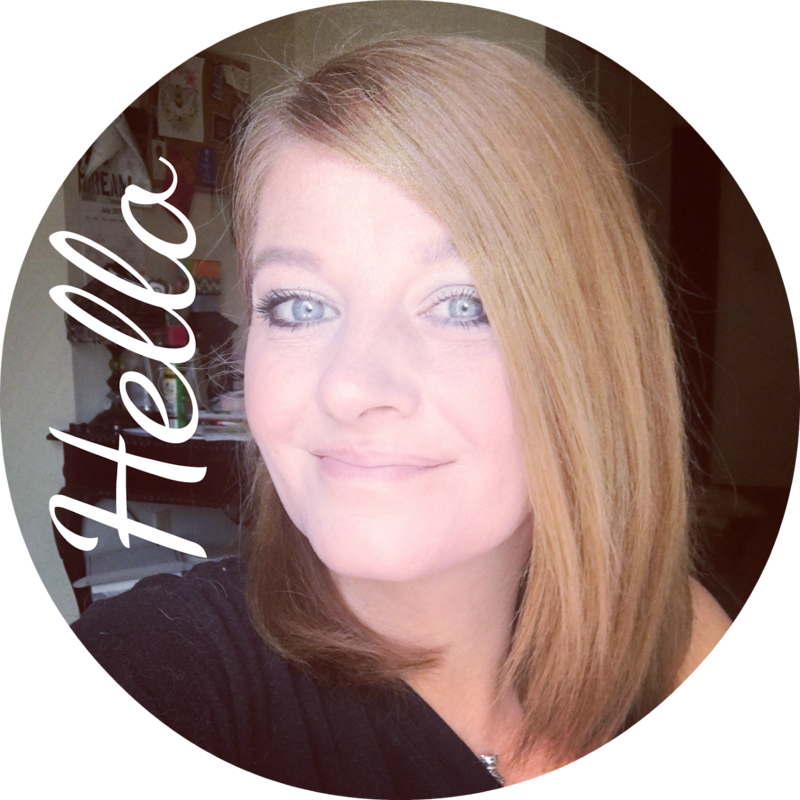 I am back today with a closet organizational video. I have a medium size walk in closet which was just not working for me so I pretty much changed almost everything about it. 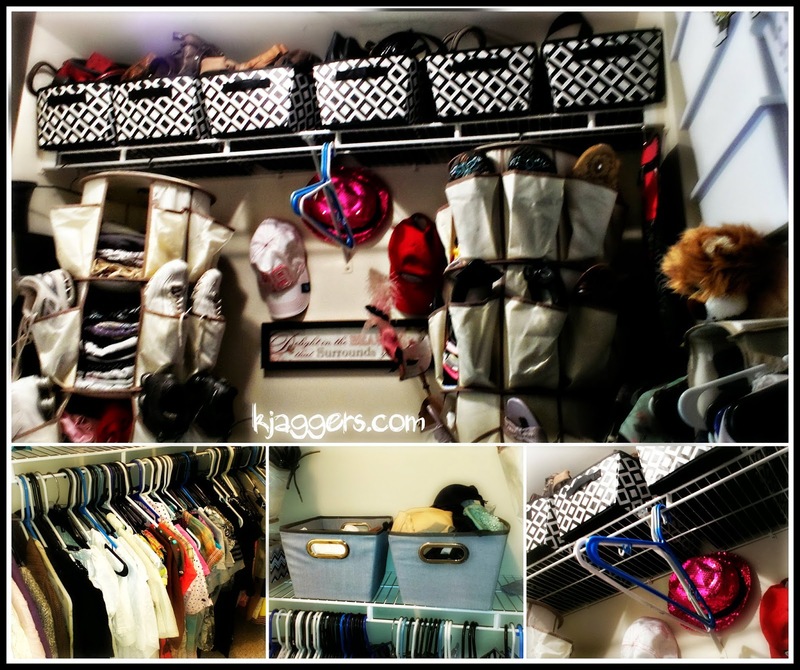 I was having trouble keeping my clothes and accessories organized so I got busy with making some changes! 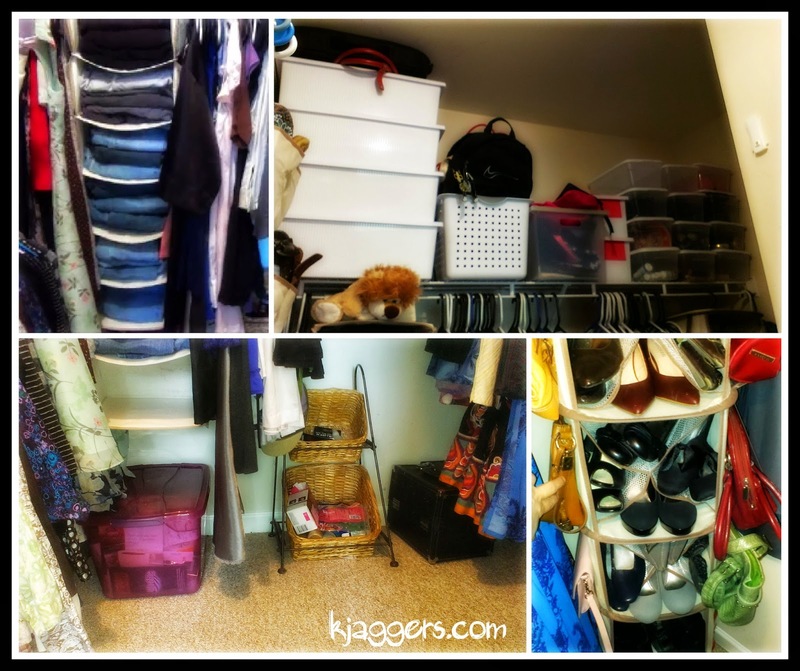 If you want to see my updated closet tour with organizational ideas, enjoy the video! Also there are more pictures and information below. On the back wall, I have most of my clothes hanging in some fashion. On the far left I have my nicer dresses. I had these stored in the other room but after giving my closet a good cleaning, I realized I didn't want half the dresses I had. → Same goes with a lot of the clothes. Beside the long dresses, I have a hanging drawer organizer. I have a lot of clothes and I have to maximize space as much as possible. So this hanging organizer holds my yoga pants and sweats on the first 2 shelves and then the rest of the shelves are used for my jeans. I know I have a lot of pairs, but believe me...when I started organizing my closet, I tossed more than I saved. Then to the right of the " jean tower" is where I hang night gowns and house dresses of sorts. You know, the kind of dress that is nice to lounge around at home in on warm Sunday afternoons. I keep those separated from my nicer dresses as I do with my summer dresses. But following the night gowns and house dresses I have have more pants such as kackis and dress pants. On some I doubled up the pants on the hanger just to make room. Then at the end of those I have my summer dresses. See, everything is super separated. If I kept them bunched together,no matter how hard I tried, they would all get mixed up. This way they all stay apart in the groups that I want. These are long maxi dresses and such that I would maybe wear out for lunch or dinner in spring or summer. After the dresses I have another one of the smart carousel but this time its a hanging shoe organizer. I was able to fit all my nicer heals in this organizer and even 2 pairs of boots. On both sides are elastic strips that hold my more flat and skinny handbags. These could have certainly went up in the bins with the others but they fit really well here and the bins are pretty full already. On the top shelf I have a lot more storage. On the left I have a set of 4 of the Sterlite Id Bins. The bottom bin is holding my sweaters - these will switch out in the cooler season. In the next two in the middle bins, I have even more long sleeve cotton shirts stored that will switch out with the capris in the cooler weather. The very top Id Bin holds my summer items like my beach towel and swimsuits. On the very top, I have my 2 laptop bags that fit nice and snug. Then I have a large bin that holds all my large bags that sit upright nice and neat. The following bin has all my small totes such as the bags from ipsy, and my makeup brush rolls and such. Then there are two more smaller id bins. The bottom one has old phones and their chargers. I like to keep them for emergencies and then in the top bin is a lot of my camera and tri pod accessories in. Then I have 12 clear shoe boxes stacked up neatly at the end of the top shelf. These hold random items from make up products, hair tools, portable printer wires, and still have 2 empty ones that I am sure will be filled up soon. I also have room for a total of 6 more boxes for even more storage in the future. 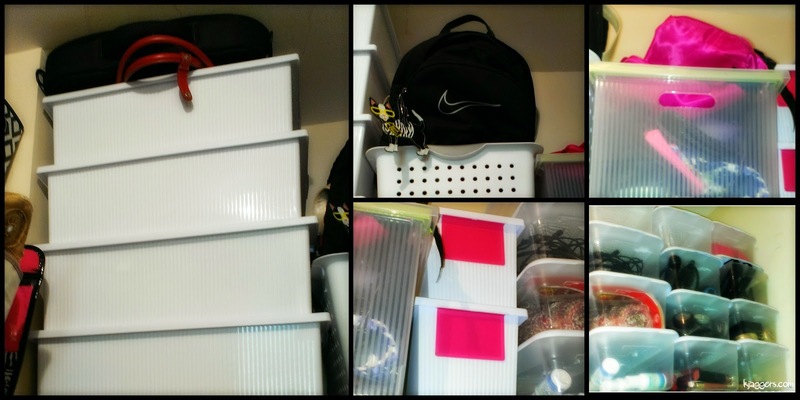 Here are the last two organization elements to my closet. I have a mesh shoe organizer that I have used for my nail polish collection. I had so much and finding a good way to store it was becoming challenging. When I tried this, I was in love. It worked so well that I was in love. It works beautifully and hangs nail free on the the back of the closet door. I also have a bin in the back corner of the closet that holds even more beauty type items. I have little pre packed totes that I can grab when I am in a hurry. I also have lots of other hair and body items. My bath room was being over taken with beauty items so this just keeps everything tidy in a space in the back of the closet. I had a massive amount of clothes...really too many. I took a full day of trying things on deciding to keep or toss. This was huge for me. I had piles to keep, to donate and to toss. I didn't really enjoy the process of going through so many clothes but it made a huge difference in organizing the clothes. I don't live close to the Container Store or even Target. ( Sad huh? ) So everything I got to organize my closet either came from the Dollar Tree, Dollar General and Walmart. It should be easy to find if you see something you would also like to try out in your closet too. The Smart Carousels are genius. Seriously they are. They hold so much and so sturdy hanging in the closet. They are very nice and you could totally use them for a million different things. I can picture these hanging in the kids closet with all kinds of toys, art supplies, you name it. I found them all at my local Walmart for around $15 each. I am in love with all my shoes being organized so well with such easy access. And I like shoes, so storage is an issue. Clearly they can handle the weight. Even the least secure item which is the hanging shelf, holds many of my heavy jeans with no problems. And the shoe organizer that I am using for my nail polish is one of my favorite parts of my closet. I totally love it and I didn't have to put any nails in the door to hang it up. I found my undergarment bins also at Walmart in the clearance isle and I totally love them. They work perfect! So look ever where. You never know what you will find. The black and white bins that hold my handbags at the top of the closet came from the Dollar General for around $4.50 each. They work great and I didn't have to spend a ton of money on them. The Id boxes are so nice. I love that you can write on the big labels on these boxes with a dry erase marker. I have not labeled my boxes because I know what is in each one but I will probably end up buying many more and will use the labels then. Again purchased at Walmart. The clear shoe boxes also came from Walmart for only $.88 each which is cheaper than the ones you can find at Dollar General for $1 each. I also found my jewelry organizer also at Walmart a while ago. Just another way to store jewerly with easy access. I think its super cute! I don't really worry about all the hangers being the same color. I would prefer it but we have too many hangers and a lot of laundry for me to worry about that. But if I was just starting out, I would totally stick to one color. I think I maximized as much space as possible considering how much I packed into that room. I did use a little of the floor for storage but I still have a lot of area that I can use as need be. Its amazing how much stuff I found in my bedroom closet that didn't even belong in there. This project took me almost a week in total working for a couple hours of the day. It was hard because there were nights when I went to bed with piles of clothes all over the bathroom floor waiting on me to work on the next day. It was a slow process but I think it turned out really nice. Everything has a place now and it doesn't feel so frustrating to be in there any longer. I would love to know how you organize your bedroom closet, if you wish to let me know. Next week we are moving on to the first floor desk so stay tuned to see how I keep that little area organized and neat. 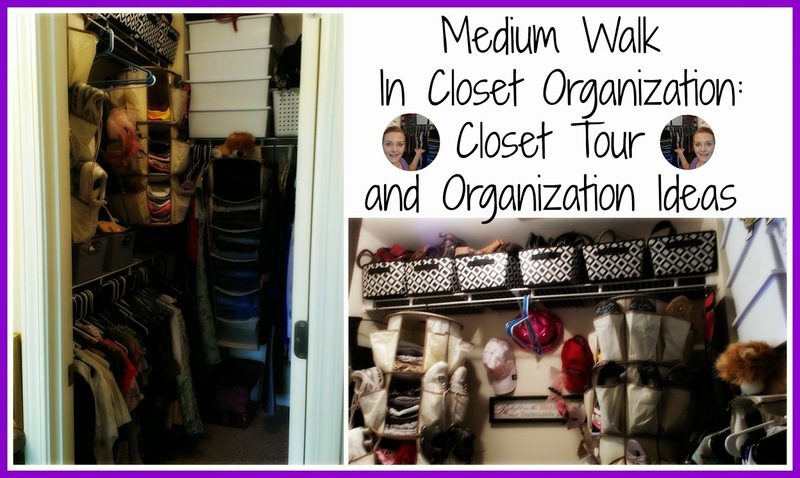 I hope the video and this blog post inspires you to give your closet a good cleaning out and get it organized to make your life easier. Have a great day & Happy Organizing!